There’s something about this time of year that in addition to being warm and cosy, at home, we also come back to ourselves in the sense that autumn tends to be time we feel more grounded; if Spring is the season of revitalisation and Summer is the season of fun, Autumn is the season of reconnecting and taking care of ourselves. Indeed, there’s a certain cosiness about coming home from work to enjoy a warming soup cuddled up with your favourite TV show. Autumn is a less extravagant and more humble season than any other and in many ways it has the energy of “coming home”. That said, just like how squirrels get themselves organised by gathering nuts to last them through the winter, this is a great time to get organised within our home, and in particular to declutter. Summer is a time of fun and adventure, meaning we often acquire items along the way that clutter up our space – anything from paddling pools to buckets and spades, and whilst they can be reused next year it’s important to make sure they are stored in a safe place that’s out of sight. Spring tends to be the season of the traditional spring clean where you get rid of your clutter and consider redecorating or renovating your home, yet autumn is a time of contemplation, and in this sense it can be good to get your home organised and decluttered. It’s important to note that the process of decluttering isn’t just about throwing items away or putting them into storage, there are little touches that can make a space feel much more decluttered. For instance, venetian blinds can transform a room when compared with thick curtains as they make the space feel much tidier and more ‘clean’. Other aspects, such as keeping surfaces relatively free of items (even decorative item such as photos and trinkets) can make a room feel much less cluttered and from a feng shui perspective, allow energy to flow around the room much more productively. 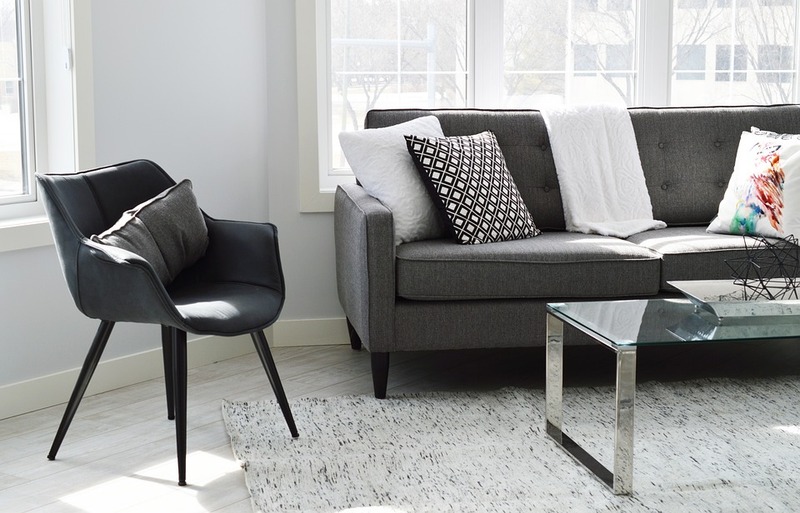 That said, there is an inevitable element of getting rid of unwanted items that are cluttering your property, and when it comes to small items this is pretty simple, yet large pieces of furniture can be more of a challenge. There are several places you can sell your furniture online. Listings websites such as Gumtree and Craigslist have mostly replaced the traditional classified ads found in regional newspapers and newsagents noticeboards. The great thing about these sites is that they are free to list your item, yet you can make money from your unwanted furniture, all you need to do is take a few decent photographs and write a brief description of the item. Just remember that a picture paints a thousand words and therefore the images you use to advertise your item are integral to the success of the advert. The three main considerations people using listing websites have are price, proximity and deliverability. Price is an obvious one, yet if the person seeking the item is nearby this will often trump price based on the convenience factor. Similarly, if it’s a large item such as a sofa, the main consideration people will have is how they are getting to get it from your house to their house – which is where offering delivery can make a huge difference, as it takes away the headache associated with this, for the buyer. Services such as Shiply can be good for this, or in the alternative, a local “man with a van” service can work well too. Donating your old furniture to a charity shop, for instance, or a homeless shelter allows you to get rid of large items without the hassle and expense of having to drive them to the tip or pay for them to be removed. Simultaneously, you’re doing a good deed as these items can help someone in need. The majority of charitable organisations tend to have a van of their own, meaning someone will come and pick up the item for free at a convenient time – just be aware that these charities tend to rely on volunteers, meaning the availability of people to pick up your furniture might be rather tight, meaning you’ll have to wait a few days or even a few weeks. There’s often no need to sell or give away unwanted furniture; as you can upcycle it and turn it into something much more attractive and creatively aligned with your home.